This analogue watch is the ideal combination of functionality and fashion. 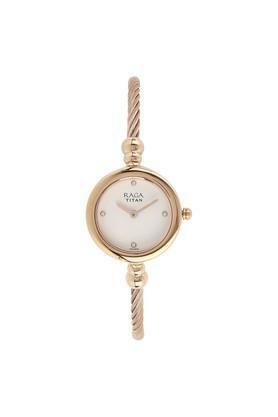 It has a round dial that makes it look chic, while the contrasting hour and minute hands enhance its charm. The crown further helps in adjusting the time. Accessorise your casual wear by wearing this analogue watch presented to you by Titan.